CPC Project Services (CPC) has appointed David Watts, as Associate Partner, to support its Property and Construction division in the UK. David joins CPC from British Land, where he was Head of Retail Initiatives and responsible for managing capital expenditure across British Land’s retail portfolio. Overseeing the development of a significant pipeline of work every year, he liaised with key stakeholders and occupiers including Apple, Curry’s, JD Sports, M&S, Cineworld, River Island and many restaurant and leisure operators, to deliver complex and challenging schemes across the UK. 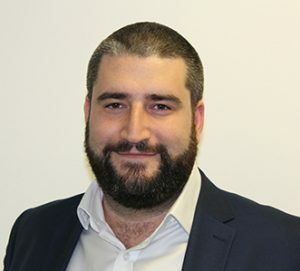 David brings over 10 years’ experience in retail, leisure, residential, education and government sectors and will be responsible for supporting CPC’s project management consultancy business in London and the South East, Leeds and Greater Manchester regions. He is a Member of the Royal Institute of Chartered Surveyors, as well as a RICS assessor and mentor and is currently completing a MBA at Warwick Business School. David will also be supporting CPC’s project management teams towards their APC and APM career development success.